Spray the inside of a 6-quart slow cooker with vegetable cooking spray. Stir the fruit, celery, onion, poultry seasoning, parsley and broth in the cooker. 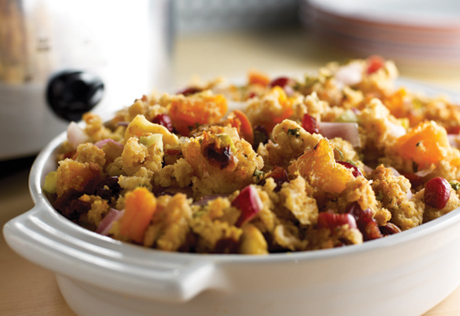 Add the stuffing and mix lightly. Cover and cook on HIGH for 1 hour. Reduce the heat to LOW. Cover and cook for 2 hours or until the vegetables are tender.